Chance The Rapper, Gary Clark Jr. and Alicia Keys are just a few of the artists chosen to perform the tributes. The 59th Annual Grammy Awards will include tributes to Prince and George Michael at the ceremony on Sunday, Feb. 12, the Recording Academy announced. Participating artists include Chance The Rapper, Gary Clark Jr., Daft Punk, Alicia Keys, John Legend, Bruno Mars, Anderson .Paak, A Tribe Called Quest, The Weeknd and others. The world lost both iconic singers last year. Prince died April 21 from an opioid overdose and George died Dec. 25 from heart failure. Both men were noted for their one-of-a-kind vocals, cross-genre appeal and blurring lines of gender roles. 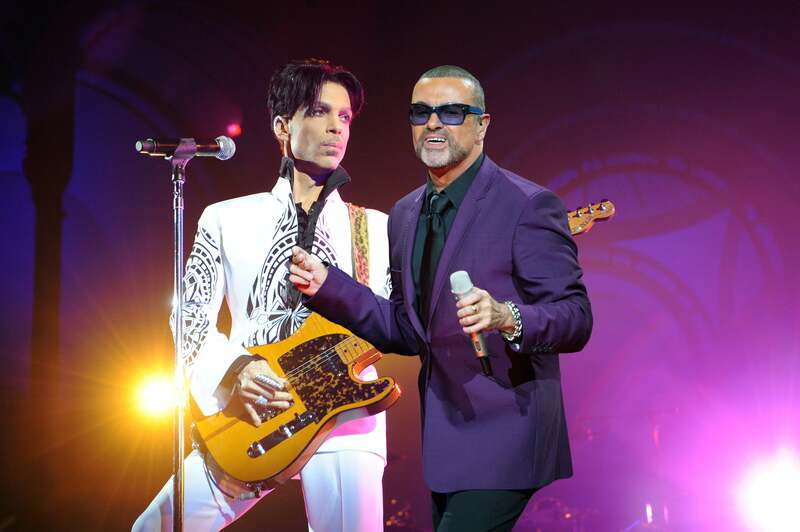 “George Michael and Prince were pop icons who showcased rare musical genius and otherworldly charisma,” said Neil Portnow, President/CEO of The Recording Academy, in a statement. “While each possessed a distinct style and sound, they were both adored by audiences worldwide. The passings of two such creative innovators were a huge loss for the creative community; The Recording Academy is humbled to pay homage to their tremendous legacies on the GRAMMY stage,” he added.